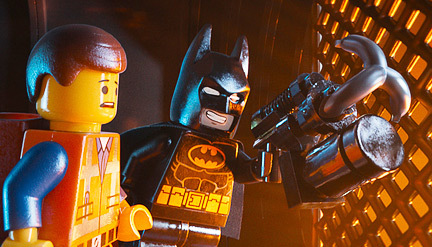 The Movie Guide says, “THE LEGO MOVIE is a hilarious movie with great animation and a strong moral worldview containing a strong Christian allegory. Read their full review here. Plugged In says, “It’s a bright, silly and breakneck-paced good-guy-vs.-bad-guy tale that offers kids and kids at heart two big lessons: Believe in yourself, and let your imagination lift you up to creative rapture.” Read their review here. Entertainment Weekly says, “…it’s conceptually audacious, it’s visually astonishing, and it’s 10 times more clever and smart and funny than it needed to be. Here, at last, is an animated comedy that never stops surprising you.” Read their review here. That all sounds like STAR material to me. No serious content concerns,good morals, and very funny and original.